Designed by Peter Bruff, Manager and Engineer of the Eastern Union Railway, the pier opened on 18th July 1871. A lifeboat station was added in 1878 and extensions in 1890-3 took the pier’s length to 1180 feet. A new polygonal head incorporated a pavilion with concert hall, stalls and refreshment and waiting rooms. The new landing stage catered for increased steamer traffic. In 1898, the original pier company went into liquidation. When the Coast Development Company took over the structure, it was valued at £52,112. Ernest Kingsman bought the pier in 1922, and was responsible for many changes. That year saw the building of the Blue Lagoon Dance Hall and the Lifeboat House (enlarged in 1983). The Ocean Theatre was erected in 1928. The pier was widened in 1931 and in 1932 the Crystal Casino and Swimming Pool were constructed. In 1940, the pier was sectioned for defence purposes. The Crystal Casino and a childrenвЂ™s theatre were demolished and not replaced. After the war, the pier was repaired and ownership passed to the New Walton Pier Company. Storms hit the pier in 1978, 1979 and 1987. It was bought by Anglo-Australian Automatics in 1981 for £2 million, but was almost a year in receivership before passing into the hands of E & M Harrison Ltd in October 1994. Refurbishment work began almost immediately. 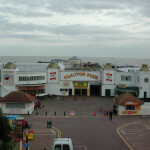 E&M Harrison Ltd retained ownership until March 2009 when it was sold to Billy and Elliot Ball, trading as the Clacton Pier Company. The new owners and their family have been involved in amusements in the resort for more than 60 years and described themselves as custodians of a landmark for the whole town. In April 2009, a 50ft-tall helter-skelter was erected on the landmark as part of the new owners plans to renew the attraction. 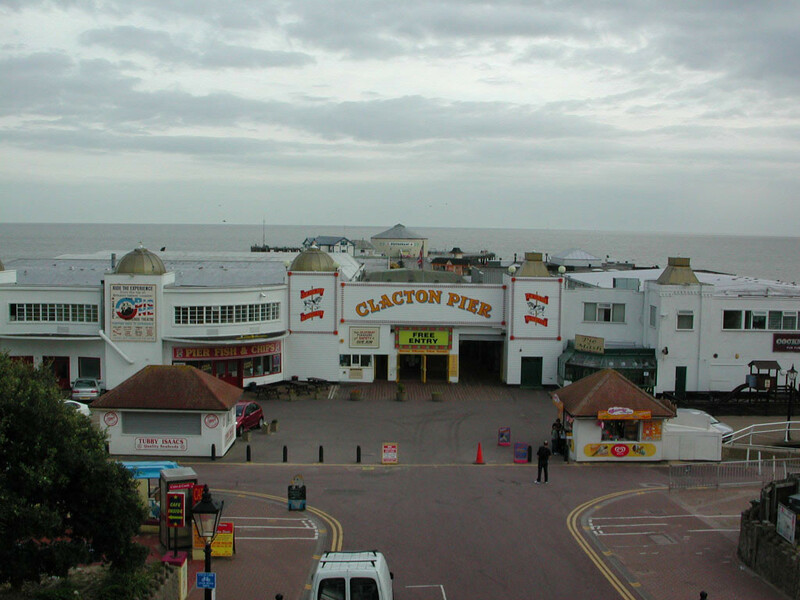 In March 2011, Clacton participated in the Party on the Pier event to herald the start of British Tourism Week and in June 2011, a new roller-coaster, ‘Stella’s Revenge’, was opened attracting crowds looking for the latest thrill ride. Current facilities also include a very large amusement hall, tea rooms, restaurant, plus a range of shows and stalls on the open deck. In August 2012, riders on the Stella’s Revenge roller-coaster escaped serious injury following an accident. Ambulances and medics attended but nobody required hospitalisation. Clacton Pier’s helter-skelter was blown down in October 2013 after Essex was hit by strong winds. No-one was hurt and the structure collapsed on to the pier rather than falling into the sea. In November, the pier’s administration manager Sharon Charters said experts were confident it could be repaired for the next summer. The auction of a collection of vintage arcade games from Clacton Pier sold for much higher figures than had been anticipated, some for as much as ten times the guide price. This was reported to be the first time in 20 years that such a large collection of arcade games been offered for sale. The new Fun Card was designed to bring the pier into the 21st century as it was the first in the country to adopt the new system which provided a cashless method to replace traditional ride tokens. The helter-skelter that was blown down in October 2013 was finally ready for service in June 2015 after a lengthy programme of repair work to make sure it was “restored to its former glory in the correct and proper way”. Also in June, the owners of Clacton Pier said that they had invested heavily in improving the pier from when they acquired it in 2009. 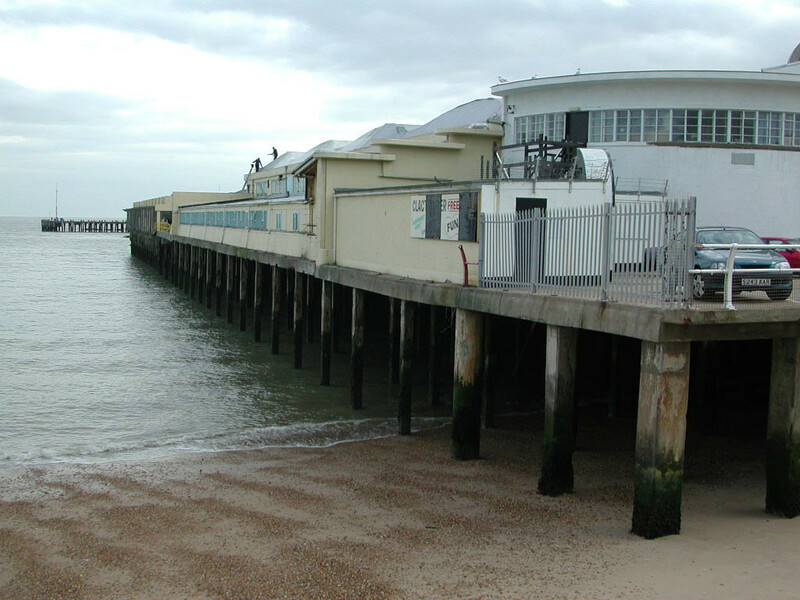 The pier’s managing director, Billy Ball, commented that there should be more financial support for privately owned piers to keep these historic structures standing. May 2016 – Helter Skelter returns to Clacton Pier! Clacton Pier’s famous helter skelter, which was destroyed by 70 mph winds in 2013, was rebuilt and brought back into action in May 2016. The 50 foot tall attraction had been a feature of the pier since it was first constructed in 1949. In March 2017, it was reported that many of the old fairground items from Clacton and Walton piers were to be sold at auction at Reeman Dansie Auctions within the month. The items would be available to collectors at an estimated price of £100-150 each. May 2017 saw an announcement that the long closed Jolly Roger pavilion would be housing a non-animal circus featuring acrobats, clowns and a traditional water show for the late May bank holiday and right through the school summer holidays. July 2017 – Refurbishment work at Clacton Pier gets underway! In July 2017, work began on a seven-figure makeover to the pier, focussed on modernising and strengthening the pier’s infrastructure, in preparation for further work at the end of the season.The refurbishment work was concentrated on areas which had gone untouched for 90 years. In October 2017, work was well under way on a £300,000 project to strengthen the structures holding up Clacton Pier. More than 3,000 concrete piles support the pier and many were more than 90 years old. By November 2017, work was already well underway to ensure the pier was ready in time to accommodate the changes, which were aimed at making the six acre site a 52-week a year attraction. January 2018 – Clacton Pier refurbishment gets underway! In January 2018, the Clacton Pier Company was reported as putting together the final touches to their plans for a £1 million refurbishment project aimed at creating a year-round attraction. While the renovation works were being carried out, the pier would be in ‘complete darkness’ and have its rides removed. In February 2018, Clacton Pier unveiled £4 million plans to turn the iconic landmark into one of East Anglia’s premier attractions.The major scheme included the construction of a new £500,000 indoor and outdoor adventure golf course over two levels, as well as a £500,000 children’s play area. March 2018 – Clacton Pier raises the roof for bumper Easter weekend! 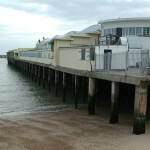 A competition was launched in April 2018 to rename the Jolly Roger – formerly known as the Pier Pavilion and the oldest building on Clacton Pier. This was part of a rebranding project on the pier in which a number of buildings were being renamed as part of the pier’s £4 million development. Looking for a job on a pier? Clacton Pier may have the position for you! The Jolly Roger remains at Clacton Pier! Fantastic pictures of the new-look Clacton Pier! Circus Fantasia returns to Clacton Pier for the summer season!